* How do you find joy in the midst of unfulfilled hopes? * What signs of God’s faithfulness cause you to rejoice? * In what way do you live confidently within God’s promises? Where do you struggle to “rejoice” in this way? * As we prepare for the coming of Jesus, who identified his own call with the Isaiah passage, what is the deep hope within us for the world? For the Week: Stir up my will, O God, to tell of your light. Throughout the Day: Advent God, I rejoice in your light and love! Blessing to Share: May the God of peace guide and keep you until the coming of our Lord Jesus. God is close, the world waits: We will rejoice. And let these gifts to us be blest. 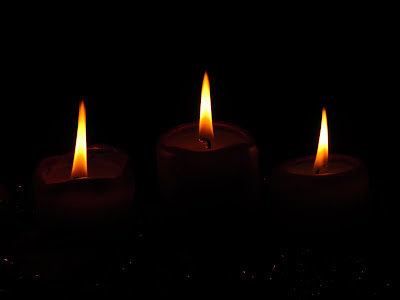 Light three candles and pray: We light the candles of Hope, of Peace, and of Joy. We excitedly await the coming of the Mighty One. Rejoicing in the mercy and justice of our Lord, we lift our hearts and voices in songs of joy. 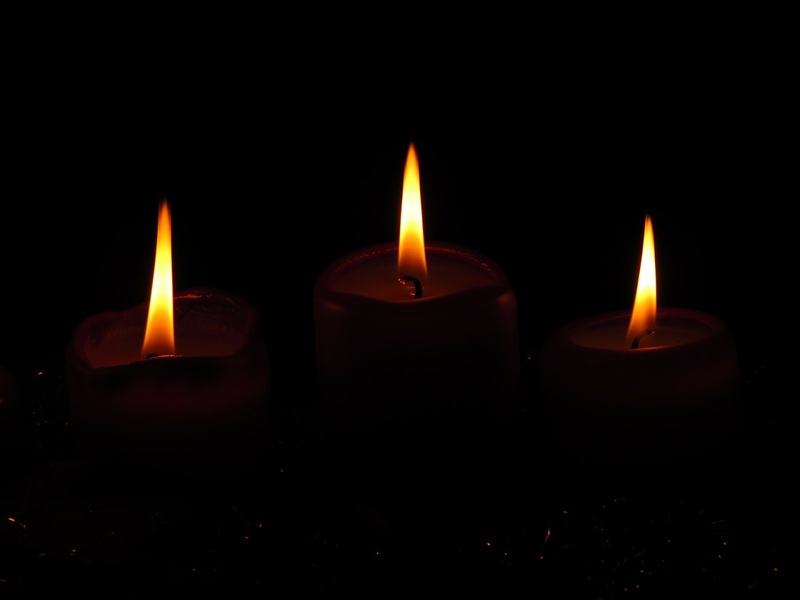 Create a Prayer Central for this Advent! Set aside a place where everyone can add prayers graffiti style. Use a large piece of paper, or a notebook, or a white board. Throughout Advent, all in your home can add names of people and places that need prayer, and common themes such as hunger, peace, or love. Encourage all to contribute ideas. This Friday is our turn at Free Lunch. Three days before Christmas is a great time to share food and God’s love! Show up between 11 am and 12:30 pm to help. The Free Lunch program is located at 1105 S. Gilbert Court in Iowa City.